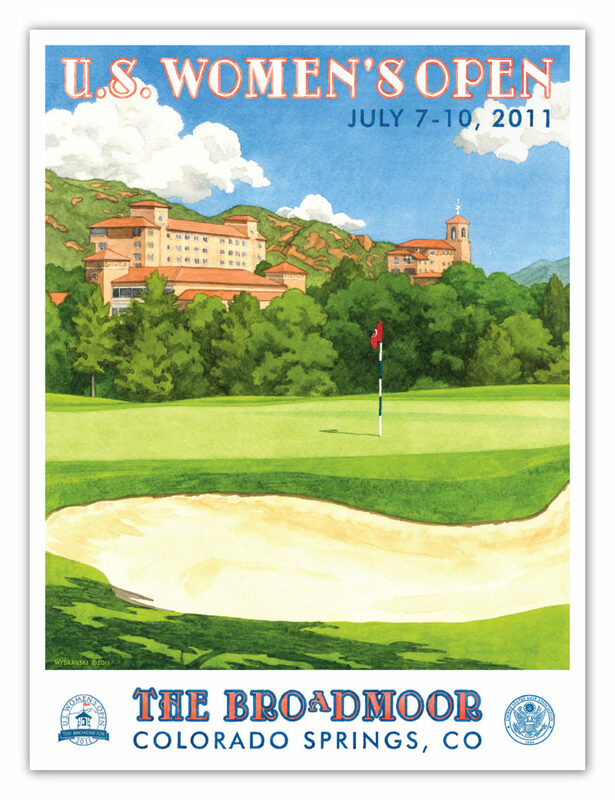 This was Lee’s third U.S. Women’s Open and second time painting the iconic Broadmoor hotel. The champion was So Yeon Ryu of South Korea, who defeated compatriot Hee Kyung Seo in a three-hole aggregate playoff. The original poster at The Broadmoor quickly sold out. So, we have created the “Classic Series”, a digital print on enhanced Matte paper with increased clarity and color saturation and signed by Lee.